U.S. 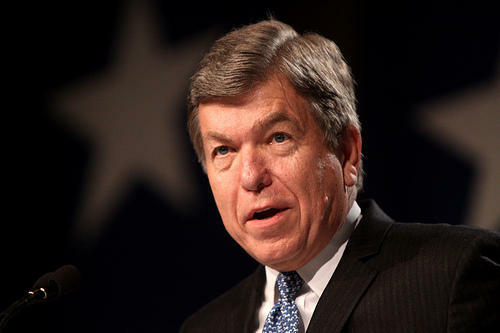 Senator Roy Blunt of Missouri is touring the St. Louis region today to promote a bill to set up special bond sales for a fund that state and local governments could use to rebuild roads, bridges and other public works projects. Blunt, R-Mo., is among the chief sponsors of the bill, the “Partnership To Build America Act." It would encourage companies to bid on the bonds by allowing them to exclude some of their overseas profits from federal taxes. The aim is to persuade businesses to bring back some of their overseas money, while also establishing a $50 billion American Infrastructure Fund to underwrite hundreds of billion of dollars in construction projects. The program would create thousands of jobs, said Blunt during an interview at his first event, held Wednesday at the local headquarters of the Metropolitan Sewer District. Blunt noted that the bipartisan backers include Sen. Claire McCaskill, D-Mo. Blunt has been promoting the bond plan for some time. He said Wednesday that he has renewed optimism because the chairman of the Finance Committee, Sen. Ron Wyden, D-Ore., is particularly interested in the idea. Blunt said his support of the proposal stems, in part, from his concern that the United States – and his home state, Missouri – is relying too much on infrastructure, such as roads, bridges, gas pipelines, that is aging and in need of replacement and repair. Missouri’s two U.S. senators – Republican Roy Blunt and Democrat Claire McCaskill – are joining forces as they raise concerns about the Defense Department’s proposed cuts in spending for the National Guard. The trims would have a $34 million economic impact on Missouri through 2016, Blunt told reporters Thursday. 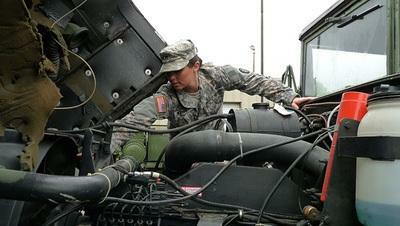 The reduced spending would primarily affect Guard operations in Springfield, Warrensburg and St. Joseph, he said. SPRINGFIELD, Mo. – From U.S. Sen. Roy Blunt on down, Missouri Republicans at the party’s annual Lincoln Days festivities are full of confidence about their chances at the polls this fall and in 2016. And the Affordable Care Act, also known as “Obamacare,’’ is getting much of the credit. “If this disaster doesn’t help us take control of the Senate, it will surprise me,” said Blunt, who sparked several ovations at Friday night’s opening banquet of the weekend gathering, held this year at the University Plaza Hotel in Springfield, the senator's home turf.